About one year ago, I wrote this summary of my recomposition. I began 2012 with a 1000-lb total (360 Squat, 420 Dead Lift, 220 Bench Press). 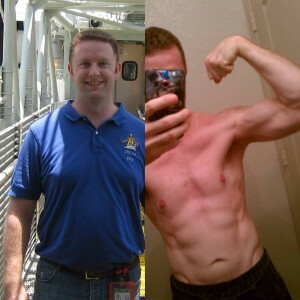 In 2012, I overcame an injury (dislocated and broken finger), grew to about 185-190 lbs (~15-16% BF), & now have a 1105-lb total (375 S, 500 D, 230 B). I continue to grow stronger, while slowly recomposing my body. Although my lifts have not increased a huge amount, I consider that I had to recover in the middle of the year from a hand injury that prevented me from just about all barbell activity for at least a month. I also have been focusing on form. I can definitely say I have better depth and hip drive in my squat. I can now perform dead lift with dual-overhand hook grip to minimize the time spent with mixed grip. When I bench press, I can feel my lats engaging. All of this tells me that my numbers are going to increase. This patience will pay off. While I certainly enjoy the personal challenge of weight lifting — daring myself to slowly add weight each round — those 3 hours per week are not what define me. That time spent with the iron gives me the physical and mental strength to enjoy the remaining 165 hours. Furthermore, I have found several ways to enjoy the rewards of my new-found strength. I can out-sprint just about anyone on the soccer field. I am continuing to learn more technique in rock climbing. I even started learning martial arts. I share this in hope that you’ll patiently pursue your goals and not get discouraged when you have intermittent set-backs. I just finished reading How We Decide by Jonah Lehrer. It’s a pretty quick read since the chapters are chock full of interesting stories and studies explaining different aspects of how our brain works. I definitely recommend it. He begins with a nail-biting story about an airplane pilot having to make a snap decision, the result of which determines whether the passengers live or die. The pilot made the right decision and, after the simulation was paused, he asked to try it again so he could see how things would work out if he had gone with the other option. This story helped introduce the difference between rational (logical) thinking and emotional thinking. In a split-second decision, you don’t have time to weigh options. How is it that we can make these decisions correctly? Lehrer goes into detail about how the emotional part of your brain excels at detecting patterns and learning routines (like the term “muscle memory”). On the contrary, the rational part of your brain is more developed for unique situations — new problems that need a clever solution. Learning to use these two very different assets is not so simple, though. Rational thinking isn’t always best, since you can be overwhelmed with too many variables. In complex problems, it’s actually better to use your emotional thoughts to make a decision. In the end, Lehrer gives examples of how we work best when we learn to use both methods of thinking. The key is to recognize the “argument” within the brain and use each side for its strength. His interview with a world-class poker player (who also happens to be a particle physicist) reveals how there are times to be rational and calculate the odds of a winning hand, but then there are times to “go with your gut”, when the art of bluffing completely changes a game based on statistics. Lehrer ends the book with some discussion about Cockpit Resource Management (CRM). At NASA, we call this Space Flight Resource Management (SFRM), but it’s basically the same thing. While there is ultimately one person making all the critical decisions, everyone on the team is encouraged and expected to voice their opinion based on the data they have available. Because one person could be focused on one solution, a potentially wrong solution, and using their rational thinking to defend their emotional decision, this system allows for others who see things differently to provide a dissenting opinion. As a whole, the team has a more objective approach. Stephan Guyenet discusses a study titled “A Satiety Index of Common Foods” by Dr. SHA Holt and colleagues. This study, along with many others, suggests that focusing on simple foods that have a lower energy density leads to greater fullness and less subsequent food intake, and conversely that highly palatable energy-dense foods promote excessive food intake. Potatoes, sweet potatoes, meats, fish, vegetables, fruits, rice and beans are foods with a moderate level of palatability and energy density, and are consequently helpful for weight loss and maintenance. Conversely, baked goods, candy, ice cream and fried foods have the lowest SI, reflecting their extreme palatability and energy density. These are exactly the same foods people eat to relieve stress, which reinforces the fact that they are hyper-palatable and hyper-rewarding. In my opinion, these are among the most fattening foods, and the obesity literature as a whole supports this. Read Stephan’s full post here. I wouldn’t be surprised if this relationship was in some way an effect of missed dopamine predictions. I am currently reading How We Decide by Jonah Lehrer. He discusses how, after successfully learning an action to gain a reward, our brain releases dopamine in anticipation of the reward when we repeat that action. This means our brain learns patterns and reacts in expectation of those patterns. But, if that action response changes and no longer provides the same reward, our brain changes to no longer release dopamine. So if you are throwing back peanut-butter cups, each time anticipating that super-sweet reward, your brain releases dopamine as soon as you reach for the next bite, before you even open the wrapper. What would happen if you unwittingly grabbed a chunk of sweet potato that felt exactly like the candy? Total let-down on taste resulting in a reduced dopamine response. It’s a stretch, but I’ll bet you could break the streak of over-eating. Thorin Klosowski of Lifehacker discusses the definition of cravings, both physical and psychological, and how to turn them from a negative reward response into a positive and useful tool. First, the reward system identifies a target and causes the brain to release dopamine. This makes the brain believe it will get happiness or pleasure from what you’re craving. This desire for immediate gratification blocks your prefrontal cortex from weighing your long-term goals against the craving. You know the classic image of the angel and the devil on the shoulder? That’s essentially your brain when you are deciding if you’re going to fold to the pressure of a craving. Your craving is the devil, only thinking about short-term rewards, and the angel is your prefrontal cortex, pleading for you to consider the long-term ramifications. Next, your body releases stress hormones that make you feel discomfort or pain. The stress essentially tricks the body into believing the only way to feel better is to succumb to the craving. According to Dr. McGonigal, the brain can learn to attach the promise of reward to almost anything. If your brain believes that something is going to make you happy, your brain can initiate the craving response. Your instinctive reward system is designed to make you pursue or chase a goal. If you’re trying to start a new habit you want something less abstract than “being healthy” to chase after. Using those cravings to force yourself into accomplishing goals is a great way to provide the temporary reward system needed to establish a long running habit. There was discussion of this reward response in the book Why Zebra’s Don’t Get Ulcers by Robert Sapolsky. It’s part of the stress response. I don’t have the book with me to reference, but I recall a study where the brain activity of mice was observed in an experiment where the mice could press a lever to get a reward. The part of the brain associated with the pleasure of receiving the reward was activated upon pressing the lever – in anticipation of receiving the reward. I try to recognize cravings. When I crave a trigger food (something not part of my planned diet that will likely lead to fat gain), I try to remember the last time I gorged on junk food and I focus on the disgusting feeling I had after the indulgence. I also have developed a craving for my workouts. I try to direct my stress response into anticipation of my next weight lifting session. 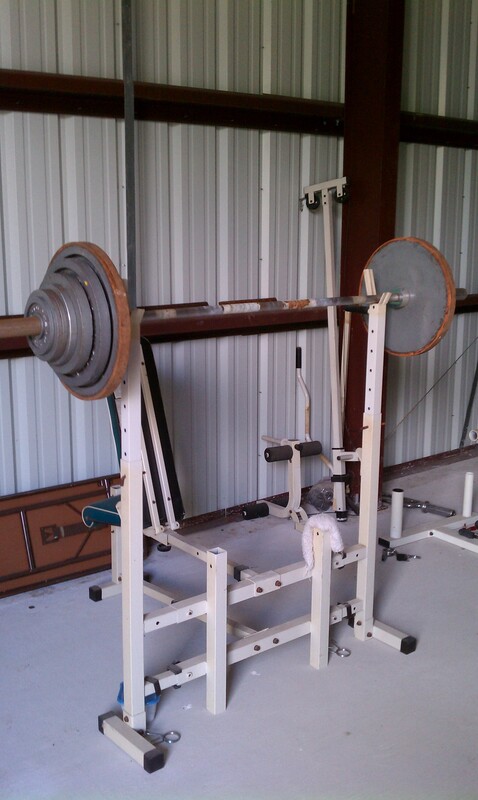 Then, when it’s “go time”, I unleash my fury on the iron. Get the full story on Lifehacker. An older study examining the amount of dental plaque in subjects with varying frequencies of brushing their teeth and varying levels of ascorbic acid (Vitamin C). Viewing brushing frequency-debris score relationships as influenced by ascorbic acid status (Figure 4) provides additional insights into plaque prevention and control. At all levels of brushing frequency, those with the better plasma AA levels exhibit cleaner teeth. In fact, the average debris score (0.92) for those who brush less than twice daily but have better vitamin C levels compares favorably with that of the poorer C subjects who brush twice or more daily (0.90 and 0.87). Study full text in PDF here. 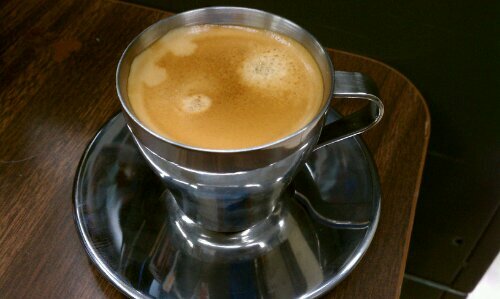 Posted on January 31, 2012 January 31, 2012 Categories DietTags Coffee, fastingLeave a comment on Breakfast!